The Arista 7280R Series is comprised of several devices that are suitable for some of the most demanding networking environments, including cloud computing and data centers. Arista 7280 switches span a wide range of specifications, giving you plenty of options to choose from and making it easy to buy the hardware that will best fit your needs. 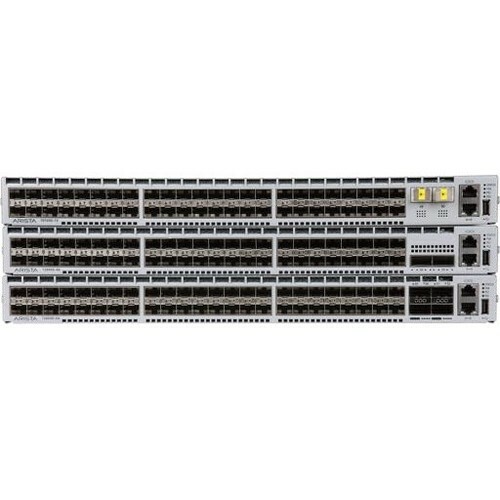 BrightStar Systems sells used Arista 7280R switches and specific parts for these devices at great prices. We also buy pre-owned Arista switches in bulk if you have outdated hardware that you need to replace or if you simply have underutilized switches taking up shelf space. One of the biggest advantages the Arista 7280R Series offers is flexibility. There are five Arista 7280 subseries: the 7280CR, the 7280QR, the 7280SR and the 7280TR, totaling 18 models. Each used Arista network switch model is designed as a fixed-configuration device, and is only 1 rack unit (RU) or 2RU in size. However, every model supports up to 100G Ethernet. 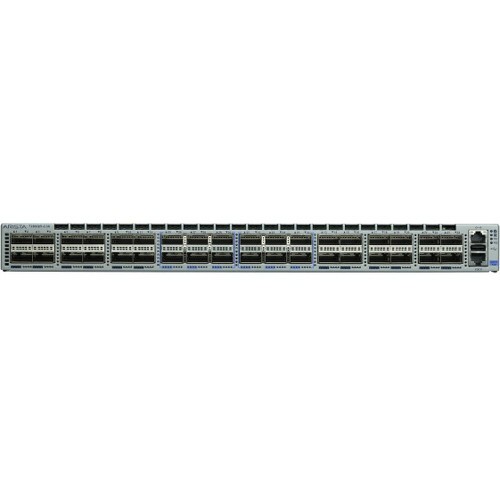 These switches are the most advanced Arista 7280R switches. They are targeted at higher-density 100G Ethernet applications and are available in 1RU and 2RU sizes. Also available in 1RU and 2RU sizes, these switches are ideal for a combination of 10G and 100G Ethernet applications. Despite the fact these Arista 10G switches are only 1RU in size, they feature a high-density configuration with some 100G Ethernet ports as well. Another Arista 10G switch solution, all the models in this subseries are also only 1RU in size. In addition to 10G Ethernet, these switches are capable of supporting 100G Ethernet. Although these switches could be considered part of the 7280SR and 7280CR series, they set themselves apart because they are the only two switches that support MACsec ports. The MACsec feature means you don’t need any external encryption devices to protect traffic. Only the QSFP ports on both models support the MACsec feature. Also, note that every model is available with a few customization options, such as airflow direction — front-to-rear and rear-to-front — and power supply — DC and AC. If you have any questions about the specifications of Arista 7280R switches, please contact us, or head to the official Arista 7280R Series datasheet. 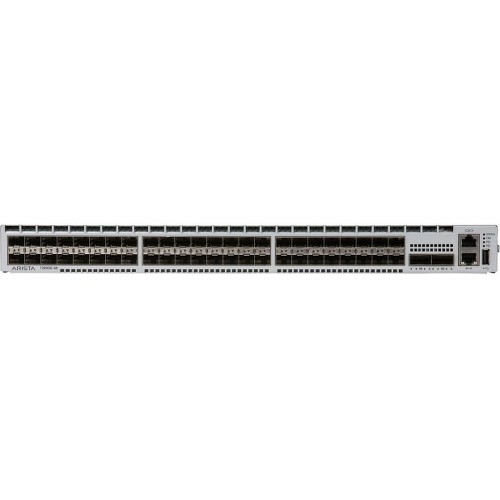 At BrightStar Systems, we not only sell high-quality pre-owned Arista network switches; we also buy used Arista 7280 Series switches from all over the world. Although we specialize in bulk purchases from large- and medium-sized businesses, service providers and data centers, we buy refurbished Arista 7280R switches from individuals as well. But, regardless of whether it’s a bulk purchase or a purchase from an individual, we always pay for shipping. And when we buy in bulk, we set up freight pickup at no additional cost. Collectively, these additional services save you time and money, allowing you to get the most value out of your existing used Arista 7280 switches. Don’t just let the value of your existing equipment depreciate, contact us today if you have pre-owned Arista switches for sale. You can be sure that all the pre-owned Arista 7280R switches you buy from BrightStar Systems are ready to go, right out of the box. We test every Arista switch we buy using a rigorous 9-step process that includes checking the outside of the device for physical damage and testing every port to make sure they’re working properly. In addition, any used Arista 7280 Series switches you buy from us come with BrightStar Systems 1-Year, In-House Warranty, ensuring you won’t have to worry about covering any repair or replacement costs — including specific parts — for at least a year. We do everything we can to make sure every switch we sell is capable of performing at its highest standards. If you’re interested in learning more about Arista 7280R prices, or about any other pre-owned Arista products we stock, including optics and cables, please contact us today. Due to the number of factors that affect each order, we use a customized process to conduct both our sells and purchases of pre-owned Arista 7280R Series routers. Both processes are very similar. Once you make an initial inquiry via phone or email, we’ll send you a form so you can specify exactly which used Arista switches you want to buy or sell. After that, we’ll work with you to come to an agreement based on your budget. Our knowledgeable and helpful sales representatives are here to answer any questions that come up during the process, including installation and assembly if you’re a buyer. To purchase or sell pre-owned Arista 7280R equipment, please contact us. If you would like to see all the Arista products we have for sale, please visit our Arista page.